More than half of all reported traumatic brain injuries happen due to car crashes. A brain injury can have a significant impact on a person’s life, no matter how minor or major it may be. In some cases, it means that the person will never be able to work again and life as they know it will never be the same. For others, they may be able to return to work after a period of time, but they can suffer on-going symptoms. No matter what has happened, it is important to get the compensation you deserve. Read on to find out more about brain injury compensation claims. Common symptoms of severe head injuries. Car accident brain damage statistics. What to do if you are involved in a car accident causing brain injury? How to begin a car accident causing brain damage claim. Car accident causing brain damage at work claims. What can be claimed for after a car accident causing brain damage claims? The most common types of car accident causing brain damage claims. How much compensation will I get after a car accident causing brain damage claims? No Win No Fee car accident brain injury claims. Why choose us as your claims service for your car accident? 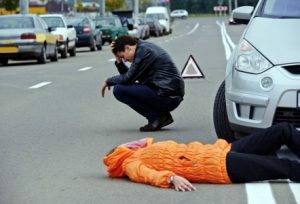 We have many years of experience in helping car crash victims to get the compensation they deserve for their injuries. In a lot of cases, this means assisting those that have sustained brain damage or severe head injuries. It is always our mission to secure the maximum amount of compensation possible. But, before you give us a call to discuss further, take a look at the guide we have provided below. You will find information on everything you need to know regarding car accident claims that cause brain damage. This includes head injury compensation payouts, head injury compensation case studies, eligibility, brain injury car accident stories, and how to begin your claim for a car accident head injury settlement. Brain damage is any type of injury that disrupts the brain’s normal functioning. There are two different types of brain injuries: acquired brain injury and traumatic brain injury. The latter is what constitutes most types of brain injuries from car accidents, as it happens when the brain injury is caused by an external force, for example, a blow to the head. This damages the skull or causes the brain to move inside of the skull. Needless to say, if you notice any of these symptoms, you need to see a doctor as soon as possible. Car accident head injury statistics do not make great reading. More than half of all reported traumatic brain injuries occur as a consequence of car accidents. In most recent findings, there are roughly 566 admissions to hospital with brain injuries per 100,000 of the population. Photographic evidence – If you have any visible injuries, it is a good idea to take photographs to support your claim. You should also take photographs of the scene of the crash itself and any damage to your vehicle. Contact details – Not only should you get the contact details of the perpetrator, but you should also get the contact information of any witnesses. This includes their name, address, and telephone number. Witness statements can really help to strengthen your claim. Make a note of everything that happened – This is a good idea because it will ensure that you do not forget anything important later down the line. Keep proof of any expenses incurred – You will be able to claim for any expenses you have encountered as a direct consequence of your injuries. This includes loss of income, travel costs, medical expenses, the cost of counselling, and much more. However, to claim for these, you will need proof, so keep a hold of your receipts and any other documents. The process of making a personal injury claim is easy when you work with us. All you need to do is give us a call and we will handle everything for you. We will talk you through the process and be with you every step of the way. Every time we take on a new client, we always begin with a free consultation process. This gives you the chance to ask any queries you have. It also gives us the chance to find out the facts about your case. This is merely so we can advise you in the best possible manner. We can also arrange a local medical for you if required. Plus, we work on a No Win No Fee basis, which means you only need to pay compensation if your case is a success. You can find out more about this towards the end of the guide. If you have suffered brain damage due to a car accident that happened while you were at work, you will be able to make a personal injury claim. This type of accident can happen in many different industries – perhaps you are a taxi driver, maybe you work on a building site, or perhaps you are a courier? No matter what occurs, if you have been involved in a car accident and you feel your employer is to blame, you can make a claim. There are many different ways your employer could be to blame for the accident you have been involved in. All employers have a duty to provide a safe and healthy place for their employees to work. This is something that is required by law. If they have failed to do this, and this has directly resulted in a car crash, they can be held responsible for what has happened to you. Maybe they failed to provide you with adequate training? Perhaps they encouraged you to use a vehicle that had failed an MOT and you were non the wiser? A lot of people are anxious about making a personal injury claim against their employer, as they fear they could end up sacked as a consequence. It is important to recognise that this won’t happen. Firstly, all employers are required to have insurance in place by law, which will cover the cost of such a claim. Secondly, if your employer were to fire you for taking legal action, they would only land themselves in deeper water, as this is against the law. You would then have grounds for unfair dismissal. General damages – This is the compensation you will receive for the pain and suffering you have experienced. Care claim – If someone has helped you around the house while you recover, they will be able to launch a care claim. These are merely a few examples of the common incidents that can lead to car crashes. It is important to recognise that how the crash happened does not necessarily matter when it comes to making a claim, o long as you can prove that someone else caused the incident. Concussion compensation how much will I get? One thing that all of our clients, understandably, want to know is how much compensation they will receive. Unfortunately, it is impossible to give you an accurate figure. This is because all car accident cases are different and there are many variables involved. From how the accident happened to the injuries sustained, there is a lot that needs to be taken into account. You may have come across a head injury compensation calculator online. However, please note that these calculators only provide rough estimates. If any solicitor claims to offer you a specific amount, we’re afraid they are overpromising. The last thing we would ever want to do is promise you a certain figure and then fail to deliver it. What we can do, though, is provide you with details regarding the average compensation for head injury and brain injuries that are associated with car crashes. This should give you a good understanding of what is possible. If you cannot find the injury that relates to your condition in the table below, please do not hesitate to get in touch for further information. Mental anguish £3,550 Fear of death and expectation of end of life. Pain and suffering £1,000 - £200,000 The level of suffering and pain you have experienced will determine how much compensation you receive. Loss of benefits £5,000 - £500,000 If you have missed work while you recover from your injuries, you will be able to claim for the income you have lost. In same cases, you can claim for more than the maximum figure that is displayed in the left-hand column. Loss of anticipated earnings £10,000 - £400,000 A lot of people that suffer from brain injuries or severe head injuries end up missing a significant period of work due to their injuries. You can claim for loss of anticipated earnings in this case. The amount you receive will be based on your current pay grade and your future earning potential. In same cases, you can claim for more than the maximum figure that is displayed in the left-hand column. Very severe brain damage £214,350 - £1 Million + The injured person will have a degree of insight for cases falling into this bracket. There may be some postural reflex movement, recovery of eye opening, and ability to follow basic commands. However, there will be little, if any, evidence of meaningful response to environment. There will also be the need for full-time nursing care, double incontinence, and no or little language function. Compensation awarded depends on the extent of physical limitations, life expectancy, and the degree of insight. Moderately severe brain injury £166,500 - £214,350 The claimant will be very seriously disabled. They will rely on other people and need constant professional care. The level of award will depend on the following: if the person has epilepsy or is at significant risk of developing it, behavioural abnormality, ability to communicate, the degree of dependence on others, the extent of physical limitations, life expectancy, and the degree of insight. Moderate brain injury compensation amount £32,725 - £114,100 At the lower end of the bracket, we have cases whereby memory and concentration are impacted. There is also a limited dependence on others, a small risk of epilepsy, and the ability to work is reduced. At the higher end of the bracket, we have cases where there is a moderate to severe effect on senses, speech, and sight, a personality change, and intellectual deficit. Less severe brain damage £11,650 - £32,700 The level of award within this bracket will be impacted by depression, the extent of any personality change, the extent of any continuing disability, and the severity and extent of the initial injury. Minor head or brain injury £1,675 - £9,700 In these cases, there will be minimal brain damage, if any. The amount of compensation awarded depends on a number of factors. This includes the absence or presence of headaches, the extent of continuing symptoms, the period taken to recover from any symptoms, and the severity of the initial injury. At the lower end of the bracket, the claimant will recover within a few weeks. Epilepsy £8,100 - £114,100 The compensation awarded will depend on the type of epilepsy the claimant suffers from. At the higher end of the bracket, the payout is for established grand mal epilepsy. At the lower end of the bracket, we have cases of temporary resurgences of epilepsy or cases where there are one or two discrete episodes. One of the key features of our service is the fact that all of our solicitors work on a No Win No Fee basis. This means that anyone can make a personal injury claim, irrespective of his or her financial situation. So, what exactly is No Win No Fee? This means that you are only going to need to pay legal fees if your case is a success. If we are unsuccessful in our mission to secure compensation for you, you won’t have to pay a penny. This offers you a significant degree of monetary protection, as it makes sure you will never end up in a position whereby you have no compensation yet you still have a massive legal bill to fund. This could easily happen if you opt for a company whereby their solicitors charge per-hour instead. There are many other risks associated with choosing a solicitor that charges per hour. For example, there is always the possibility that the solicitor in question will simply take on your case in order to take your money. They may not give you an honest assessment regarding the chances of your case being a success. We, on the other hand, will never waste your time. If we do not think your case is strong enough to secure compensation, we will tell you. After all, we have nothing to gain by simply taking on any case for the sake of it. There are a number of reasons why you should choose us as your claims service for your car accident. Let’s begin with the most important one: you will always be our number one priority. We know that you are going through an incredibly difficult time at the moment. We don’t want to add to the stress and upset you are feeling by making the claims process complicated and lengthy. Instead, we want you to focus on your recovery while we concentrate on getting the maximum head injury compensation amounts possible. Not only do we have a reputation for our customer-centric approach, but we also have many years of experience and an excellent track record to back it up. All you need to do is look at the reviews that have been left by our previous clients to see that this is the case. We have secured compensation for thousands of personal injury victims over the years, and so you can be certain that we have worked on cases similar to yours before. Couple this with the fact that we work on a No Win No Fee basis, and you can have complete peace of mind when you entrust us with your car accident compensation case. If you want to make a claim for a car accident that resulted in brain damage, all you need to do is give our friendly and professional team a call on 0800 073 8804. One of our advisors will talk you through the claim process and answer any queries you may have. You can rest assured that everything will be handled with the utmost confidentiality. If you are ready to proceed with making a claim, the advisor you speak to will match you to one of our experienced in-house No Win No Fee solicitors based on the ins and outs of your case. This gives you the greatest chance of benefitting from the maximum payout possible, which is always our aim. This link takes you to the UK Government’s page on traumatic brain injury and driving. If you have suffered a traumatic brain injury, you need to tell the DVLA. If you don’t, you could face a £1,000 fine. This is the last thing you need after such a horrific ordeal, so check out this page to find out more about the correct procedure. This NHS page reveals everything you need to know about severe head injuries, including diagnosis, treatment, recovery, and complications. Take a look at our complete guide on car accident compensation claims for 2017. This guide covers: what action you need to take, how to start a claim, the damages you can claim for, average payouts, and much more.